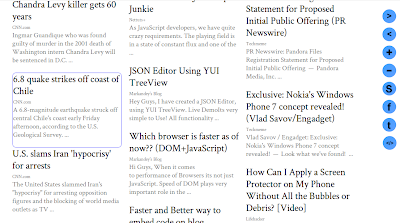 What it takes to make your own RSS Feed Reader in HTML5? Before I tell you the list of all the APIs and Resources that I used to make my feed reader, jump to this page (use Chrome) to get a Demo of what I have created. PurpleGene Feed Reader is a HTML5 (offline) web application for feed reading. No user-name & password required to use this feed reader. Here is the list of all resources you need to build something like this one. 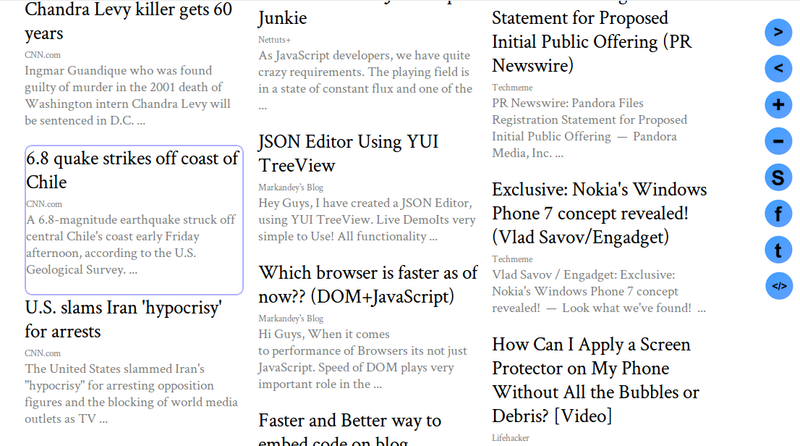 Any html5 page should be having a html5 dock-type. dock-type declaration will make all the browser to switch into html5 mode and they will render your page as per the new standard. In HTML5 Cache-Manifest is a way to declare the list of resources that should be cached to run the application offline. Note that URL /cache-manifest should be served with correct MIME type. Which is 'text/cache-manifest'. Feed API is not HTML5 Feature. I am using Google's AJAX Feed API to gather feeds. 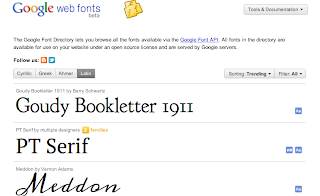 CSS3 supports web fonts, luckily Google hosts many awesome fonts online for you. Note that at any point of time if your JSON will go cyclic then JSON.stringify function will fail to do that. so solution to the problem is either you don't use something like that, or pass a function as second argument to the stringify function to let it know that parent member should be avoided. bitly has a very clean REST API for link shortening, here is a example to shorten a link. I am terrible designer, I know that if i will try to make something colorful i will mess the things up. So i always stick to minimalistic approach , To designs the icons i just used character written on a blue circle. To make it looks little better that circle has minimal gradient. I used this svg editor to create them, then exported to PNG format. Since most of your offline data will be stored in JSON , it was much better idea to expose the JSON editor itself for configuration editing. If you look at the configuration panel , you will see a nice JSON editor, this editor is created by me and you can get that from here. 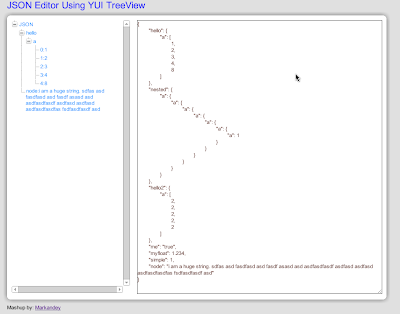 I have created a JSON Editor, using YUI TreeView. Its very simple to Use! This library is simple to use. Here is what you need to do. 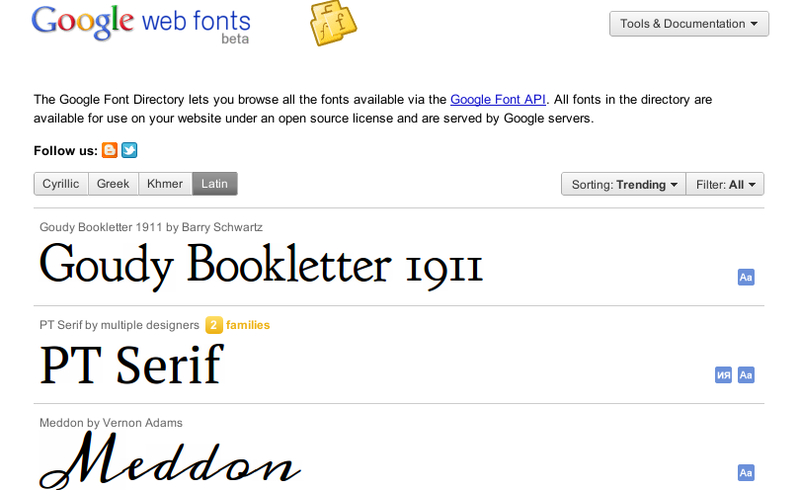 Create a div with some ID lets say treeView and then a create text-area with id as "textEdit". Pass this 2 parameter in jsonEditor constructor, Thats it You are done! This Uses YUI & jQuery so make sure you are including these libraries in your page. Note: This is Only Tested in Firefox and chrome. Use at your own risk! Do not hotlink my js file.